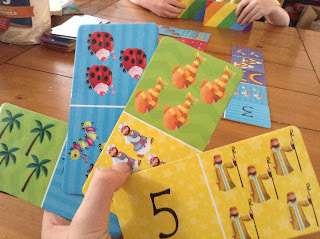 Today I'm reviewing a great game put out by Kregel. 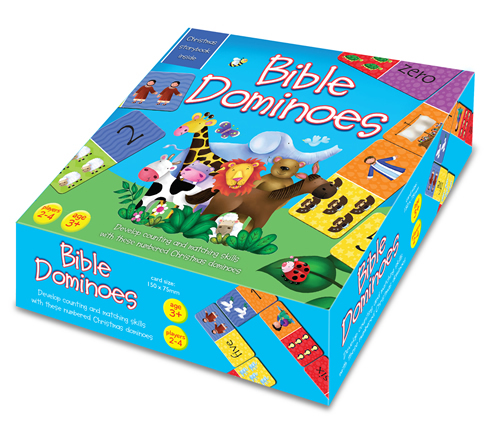 Bible Dominoes, by Juliet David and Jo Parry is colorful and fun, even for kids who are "too old" for it! 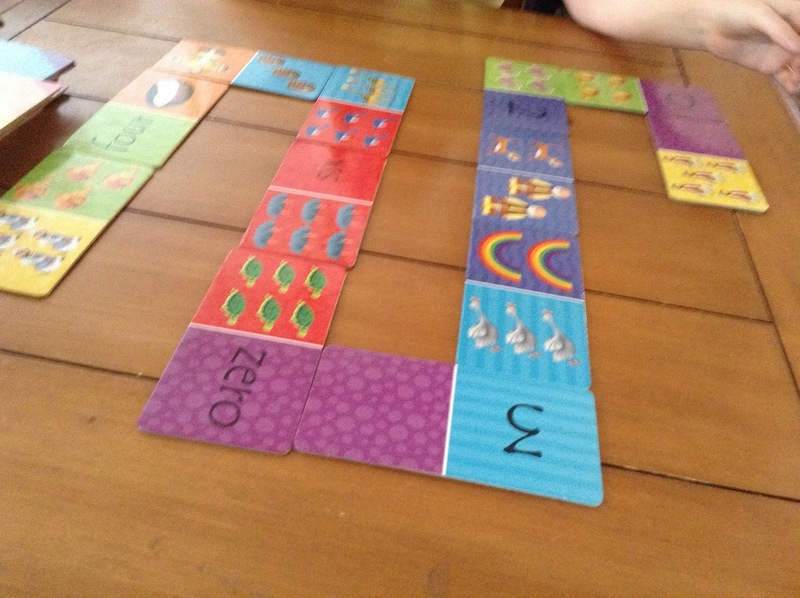 This is intended for 2-4 players, ages 3 and up. My kids are definitely over 3. Trina is 9 and Richard is 11. Trina loved it. Richard rolled his eyes and played it because it made Trina happy. This would be amazing for preschool to kindergarten aged kids, and I think it would also be a fabulous addition to a babysitting kit. 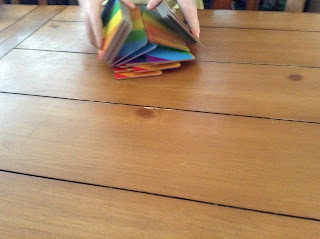 The cards are big, colorful and easy to shuffle. 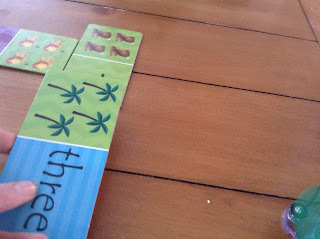 As you can see, there is a combination of letter names (the 'three' above), numerals (the '5' below), biblical characters (the shepherds below), and animals (like the ladybugs below). As you can see, the game does take up a fair amount of space. The cards are big, great for preschooler hands. But that means that laying everything out leads to a massive spread. That is still fun, of course. The game also comes with a little storybook pamphlet that talks about many of the pictures on the dominoes. There are five Old Testament stories, and five New Testament stories. Each story is a single page. This game is cute, and a great introduction to Dominoes for PreK. Disclaimer: I received this game through Kregel Blog Tours. No other compensation was received. All opinions expressed in this review are my own.